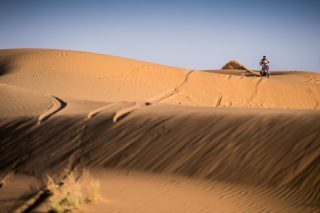 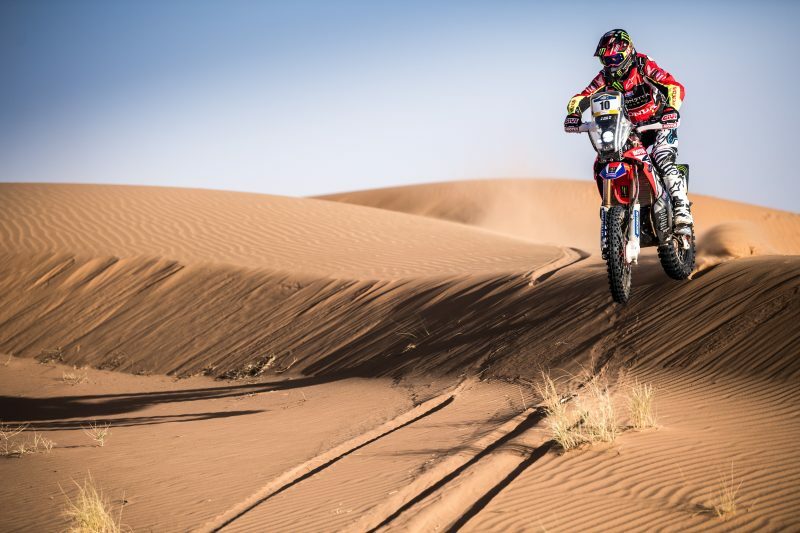 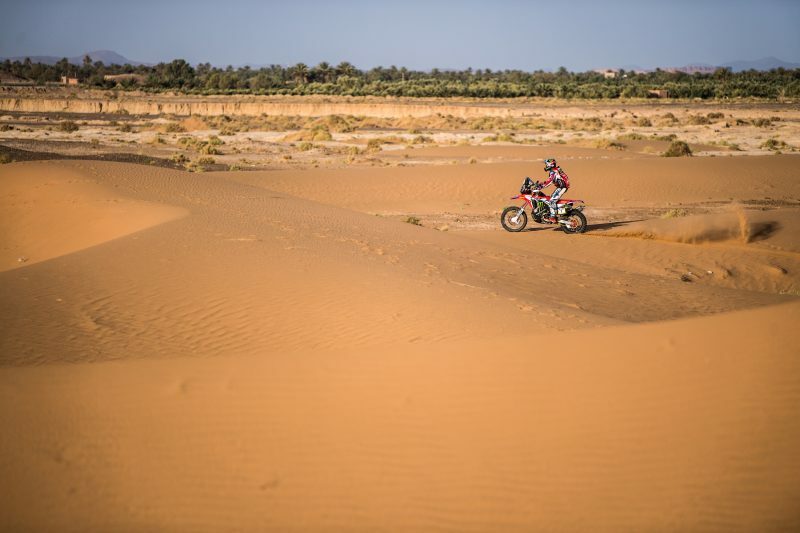 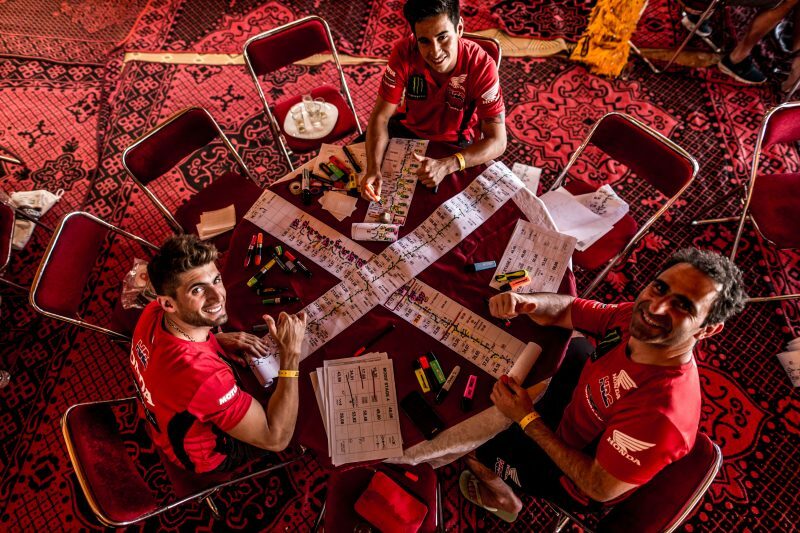 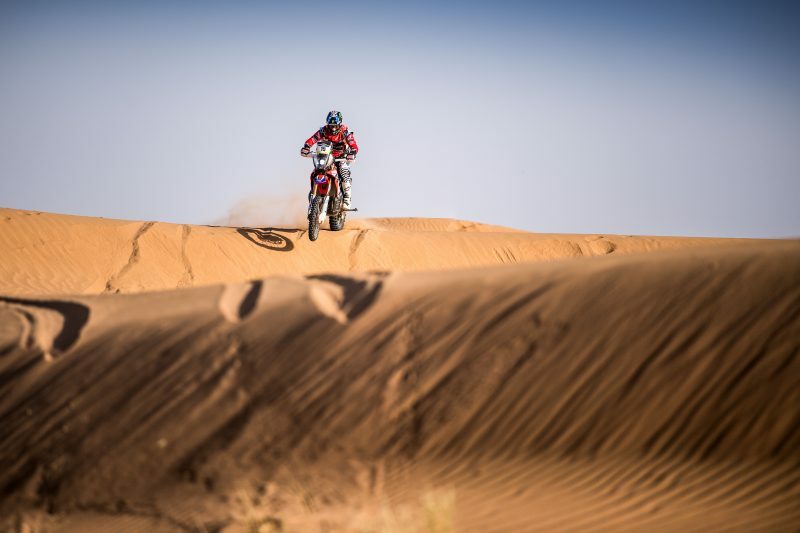 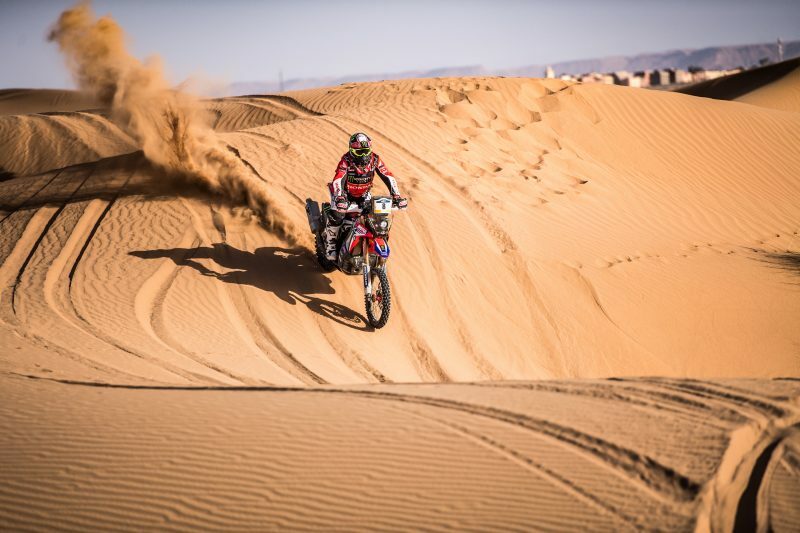 Joan Barreda consolidated his leadership of the Merzouga Rally with a triumph in the third stage, the first leg of the two-day marathon stage. 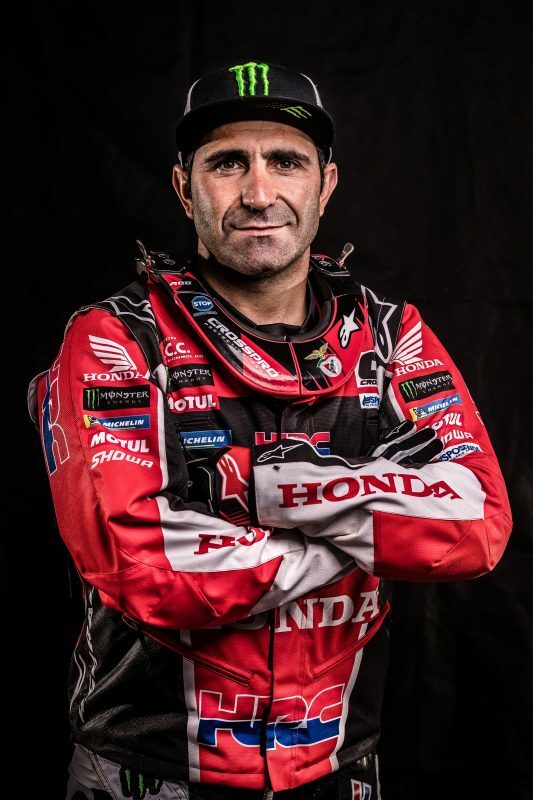 Kevin Benavides, yesterday’s winner, was third on the day, keeping Monster Energy Honda Team in the top two leader board positions. 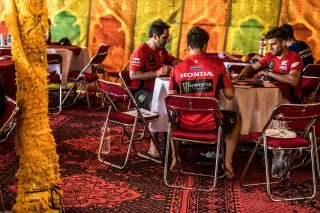 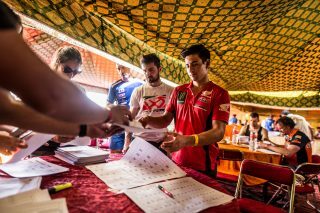 The Merzouga Rally arrives at its halfway point dominated so far by the riders of the Monster Energy Honda Team. Today’s third stage in the Moroccan desert was a tough, navigationally challenging affair which saw the Honda CRF450 RALLYs once again clock up the day’s fastest times. 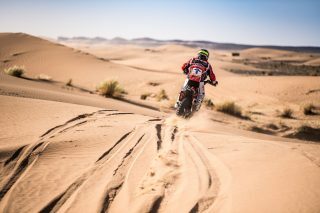 Kevin Benavides, after yesterday’s victory, was forced to open the track and set a cracking pace trying to keep the adversaries at bay. 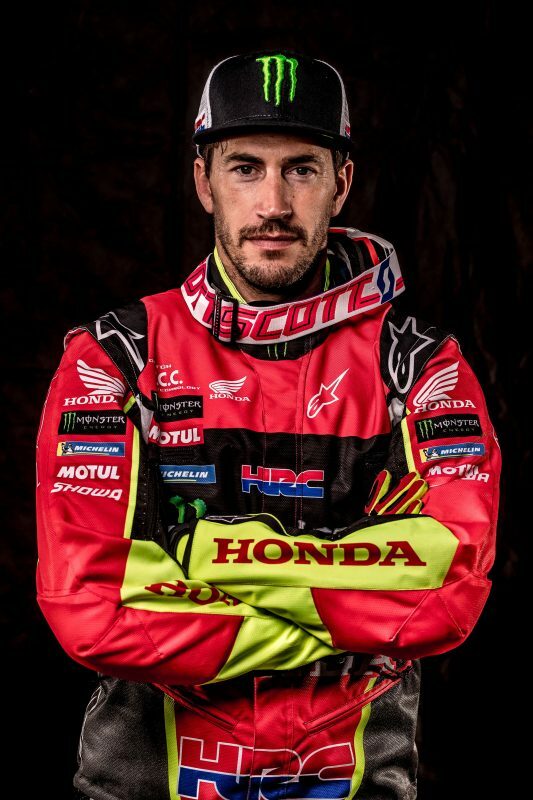 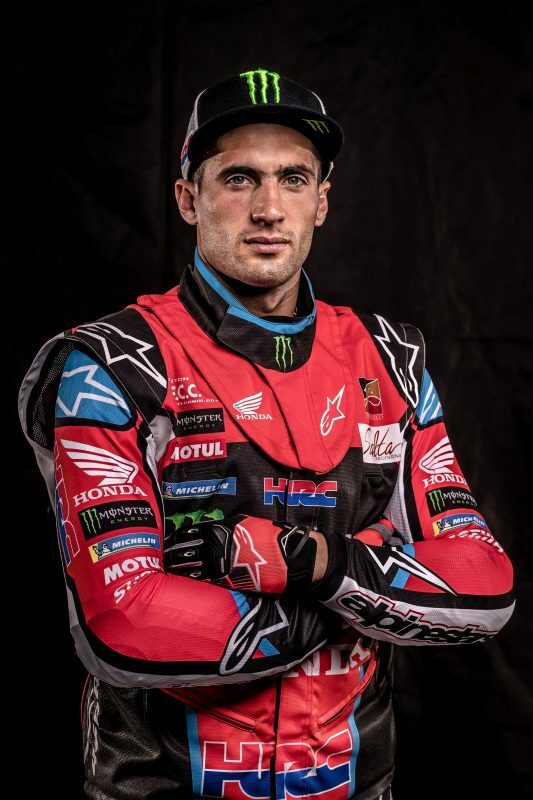 The Argentine rider scored the stage’s third quickest time in the motorcycle category. Team-mate Joan Barreda meanwhile made up time after starting out in sixth place and thus extends his lead in the overall standings. 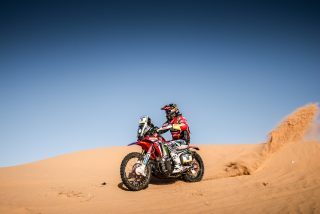 The Spaniard now sports an advantage of almost thirteen minutes over his Argentinean companion in second overall spot. 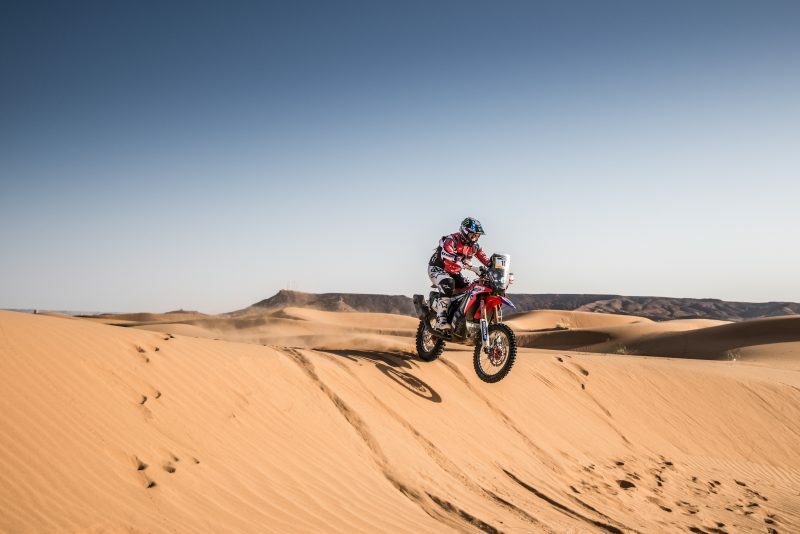 American Ricky Brabec had recovered somewhat after yesterday’s physical ailments to finish sixth on the day. 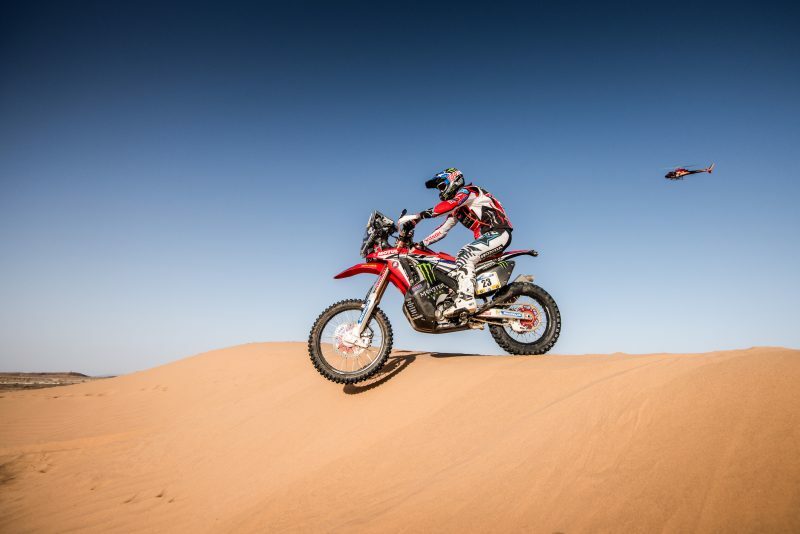 Chilean rider Jose Ignacio Cornejo, who has ridden very consistently throughout the rally, posted a similar time. 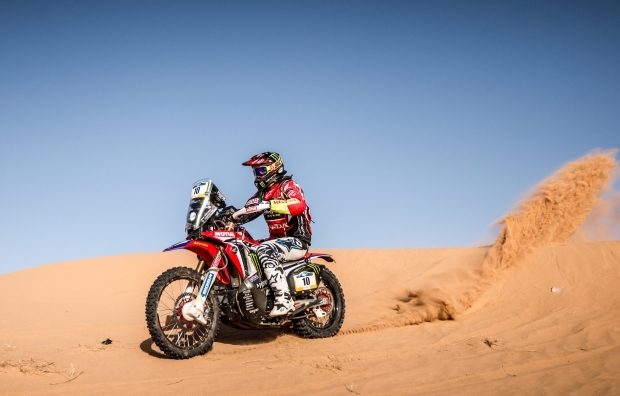 Paulo Gonçalves continues to improve in pace and also finished in the top ten. 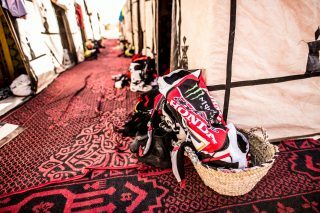 The riders will be away from the Tombouctou Hotel tonight and will sleep out in a special camp out in the desert. 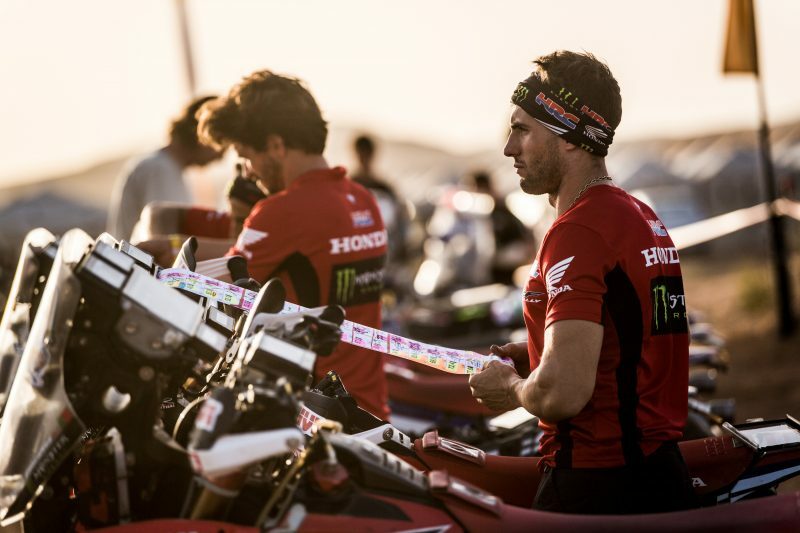 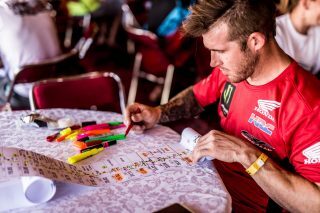 The rules of the marathon stage mean that the bikes must remain isolated in the parc ferme and can only receive mechanical assistance from the riders themselves. 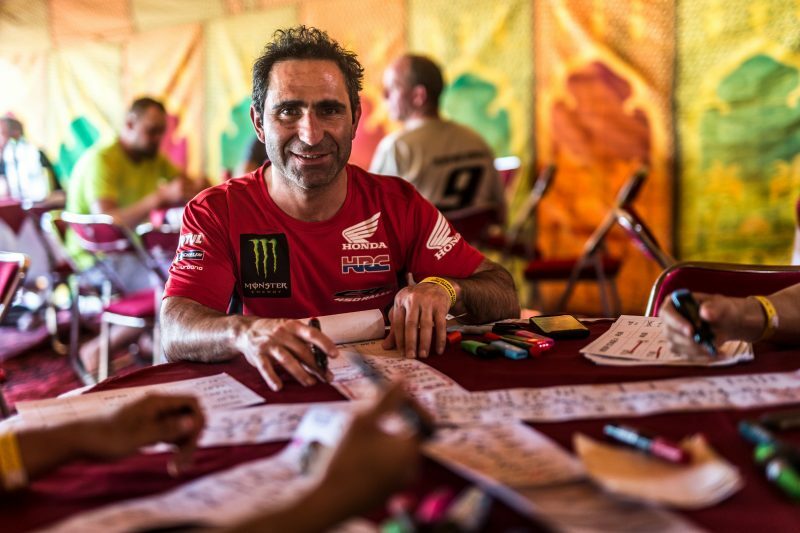 Tomorrow, Thursday, Joan Barreda will open the 233-kilometre special on a hard navigation-filled stage. 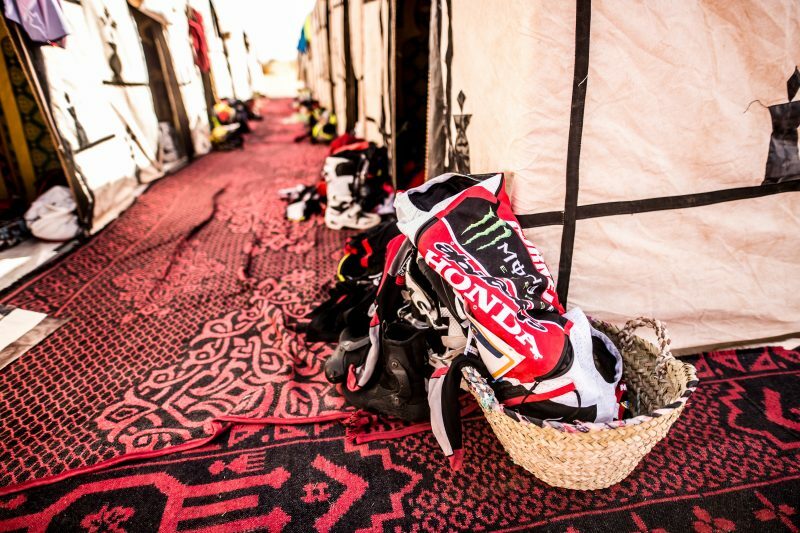 Before the timed stage gets underway there will be a 36-kilometre liaison section with the day concluding back at the Tombouctou Hotel camp after another 103-kilometre link section. 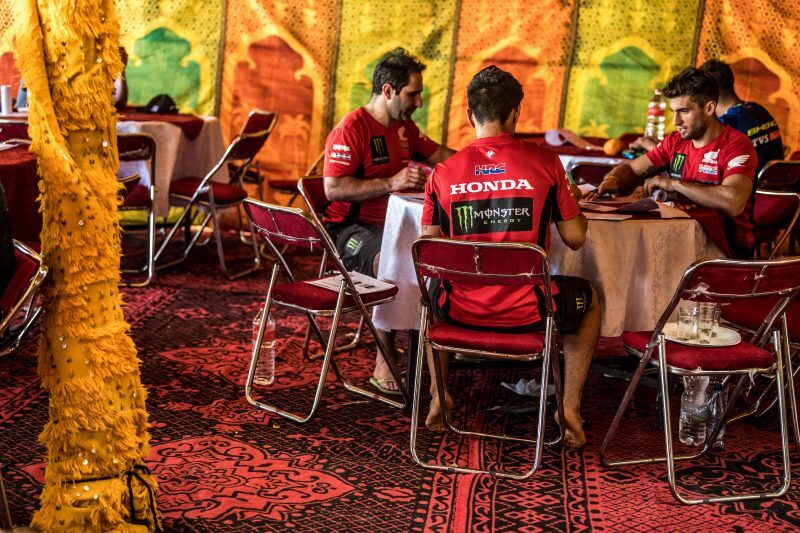 Today was very full-on as I was trying not to lose any time but I knew that someone would be able to gain time on me. 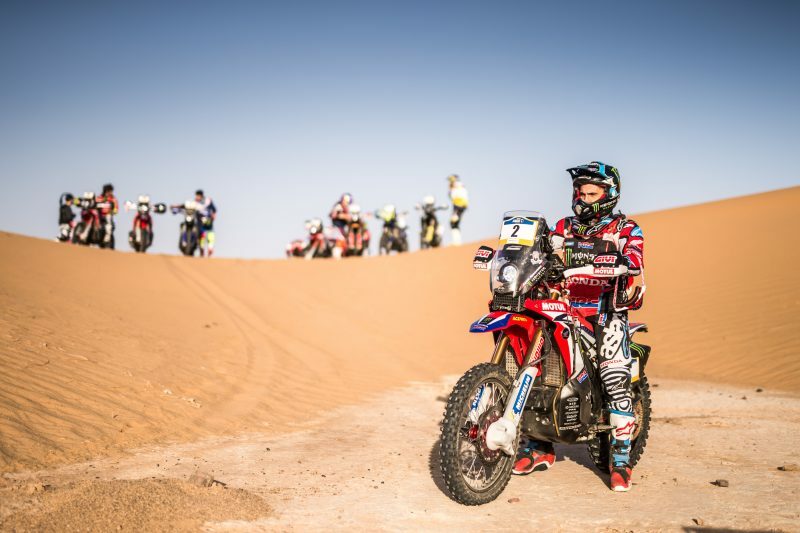 Tomorrow I will try and take advantage of my starting position to make up some time. 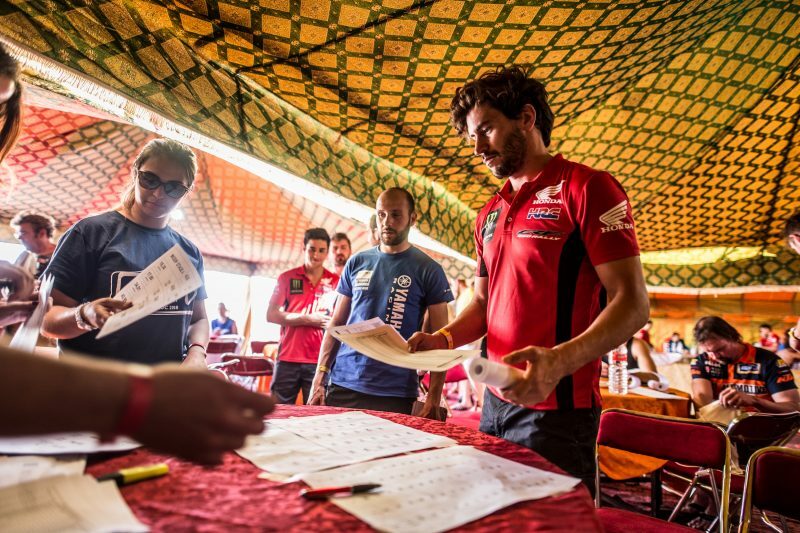 Right now we are back in the bivouac and we can check exactly how the results have been. 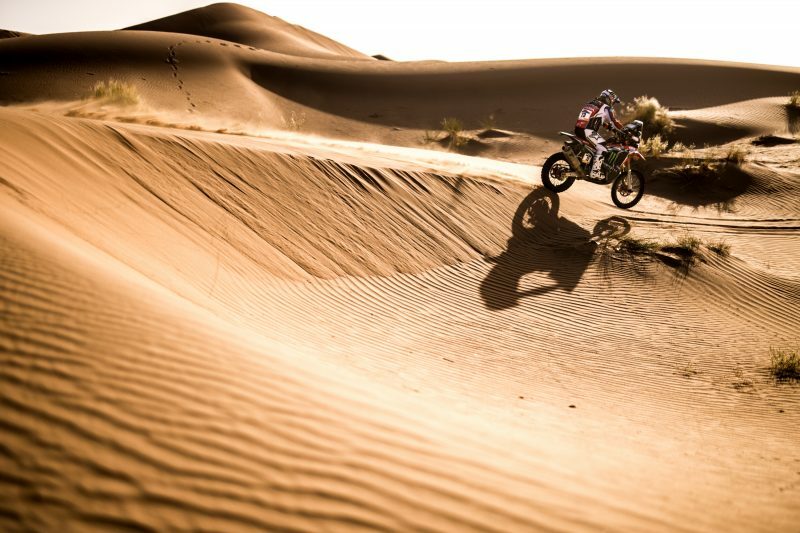 Today was a very technical stage, with a part of dunes and another terrain with black rocks and many parts of trial. 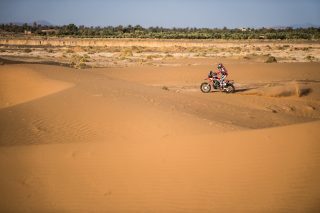 I drove very cautiously and reached the end without problems. 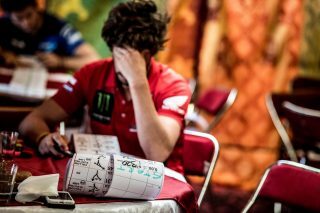 Physically it was also a very hard special ... tomorrow more! It was good day. I started out in sixth and I took advantage of the tracks ahead. 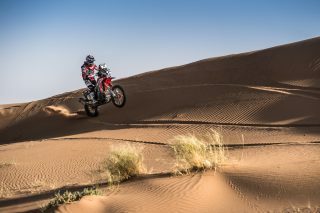 The second part was a lot tougher with a lot more rocks and I had a small fall but nothing significant and I was able to continue. 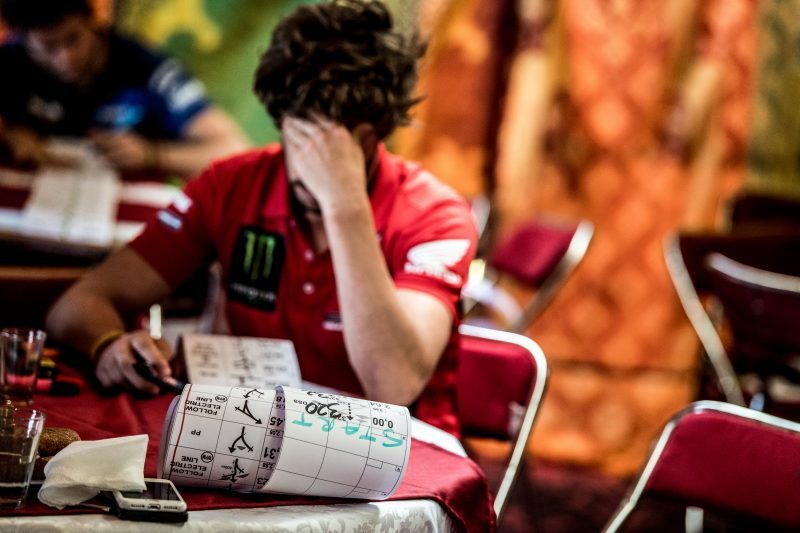 It’s really important that we have a solid day tomorrow after all the work that we have done up until now. I’m having a perfect rally without making any mistakes, but things are still very tight and it’s wide open.